The name of this sword is derived from its red-brown lacquered scabbard (saya), where the texture of the wood is still visible. 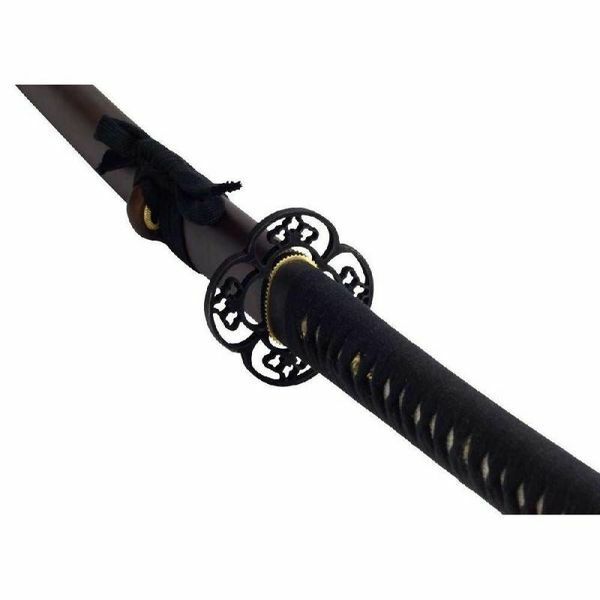 This sword is used for iaido. The iaido sport is about the art of drawing the sword and uses fixed holding techniques (katas), but only as a formal exercise. Therefore a blunt exercise sword is used. Most important is the development of unity of body, spirit and sword (Ki-Ken-Tai-Chi). The highest degree is reached when a battle situation is mastered without drawing the sword at all. 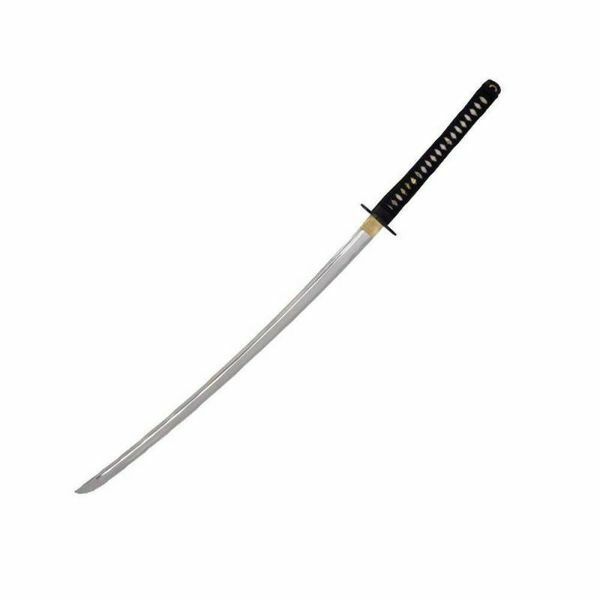 This sword has a length of 102 cm with a blade of 61 cm and a grip (tsuka) of 30,5 cm. It weighs 1050 g. The blade is hand-forged of 420 stainless steel in the Shinogi-Zukuri style with a fuller and is blunt. The grip wrapping is made of black cotton in the classic Hineri-Maki style underlaid with genuine shagreen. 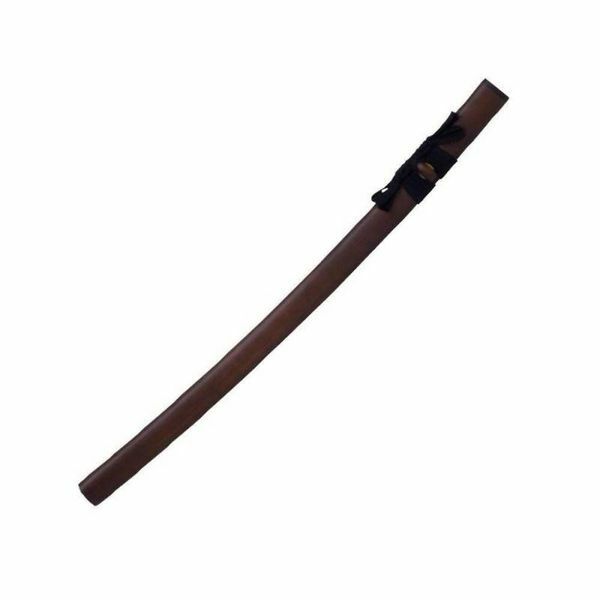 The scabbard (saya) is lacquered red-brown in the Cha Ishimi style. This sword is delivered including a protective fabric cover and a striking collectors box.